There were 376 dogs entered, 227 Staffordshire Bull Terriers and 149 American Staffordshire Terriers! Thank you all participating the show! Read the judge presentations here. You will find the results here. The photos can be used for non-commercial use but the photographe's name has to be mentioned. 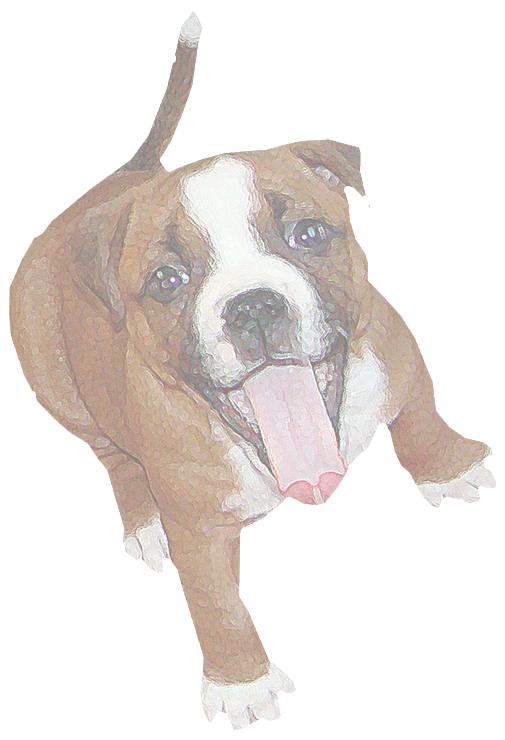 Puppy class 5 to 7months, puppy class 7 to 9 months and veterans 25 eur. 1st dog of the same owner in junior, intermediate, open, working and champion class 30 eur. 2nd etc. dog 25 eur. In order to get the reduced entry fee for the second etc. dog, you must send the entry forms and receipt of the payment in same envelope. The discount is calculated only on the full rate entry (not puppies or veterans). Over 10 year old veterans free of charge in the veteran class. Progeny class free of charge. The show catalogue is included in the entry fee of the first dog. Entering the progeny class requires online entry or form by post latest on 7th of July 2014. All dogs presented in the progeny class (offspring) must be judged in the show and rewarded excellent or very good in this show. The progeny class includes 4 dogs. The same offspring can be shown both by the dam and sire. A dog can show only one group. A written critique will be given and the groups are place from 1 to 4. The judge can reward one or several groups with honour price. When you enter your dog via the internet entry the entry fee will be paid with credit card (for Finnish residents, also internet bank payment is possible). Please DO NOT pay in advance. Follow the instructions given by the system. Entries by post must be made on the Finnish Kennel Club entry form and sent to “SBTY erikoisnäyttely 2014, PL 50, 02771 Espoo”. The payments to be made to Staffordshirenbullterrieriyhdistys at Danske Bank, IBAN FI7980001401506655 / BIC code DABAFIHH. Payer must pay all transaction costs if the payment is made via bank transfer. Only dogs whose entry fees are paid and entry forms sent or online entries submitted latest 7th of July 2014 will be accepted. Entry forms posted or entries made via internet too late will be returned and bank charges will be charged for handling return money. An identification marker (either Lifechip (Indexel) or Datamars microchip or tattoo) has been compulsory in all official Finnish Kennel Club dog shows, trials and competitions since 1.1.2001.